In 2014, when the National Gallery was approached by Tate Britain regarding our interest in staging their ‘Artist & Empire’ exhibition in Singapore, we were drawn to the exhibition’s potential resonance with our audiences, given Singapore’s history as a former British colony. However, it was also clear to us (and Tate) that the Singapore show would need to be curated differently since our perspectives on the legacies of Empire were vastly different from those in the United Kingdom. In November 2015, Tate Britain opened its exhibition in London. 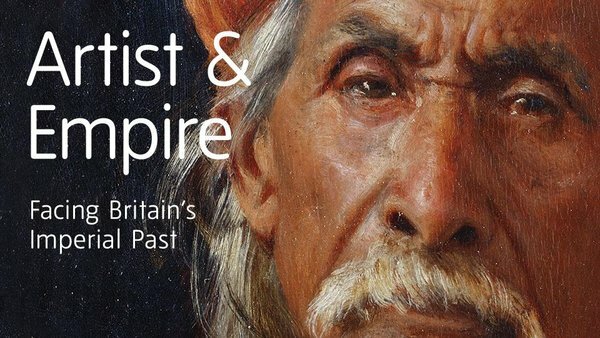 The curatorial framework evidenced a British-centric perspective as reflected in the full exhibition title: ‘Artist & Empire: Facing Britain’s Imperial Past’. The exhibition sought to examine the impact of Empire on British art and collecting through works found in British collections. Hence, the exhibition had more emphasis on materials from India and Africa, and relatively fewer works from Southeast Asia. The show generated considerable public attention in the United Kingdom. Some applauded the museum for tackling a sensitive topic, whilst others criticised the show for not sufficiently highlighting the exploitative excesses of colonialism. In developing the exhibition for Singapore our curatorial team adopted a different approach, as reflected in the revised exhibition title: ‘Artist and Empire: (En)countering Colonial Legacies’. Deploying Tate’s main exhibition themes and key works as a point of departure, we sought to examine the topic from the perspective of the former colonies, particularly from the Asia-Pacific region. The principal focus of our exhibition is a survey of the key types of art created at the height of the Empire. Produced mainly by British artists or for British patrons, artwork such as history paintings, battle scenes and grand formal portraits served to justify imperialism and colonial expansion. 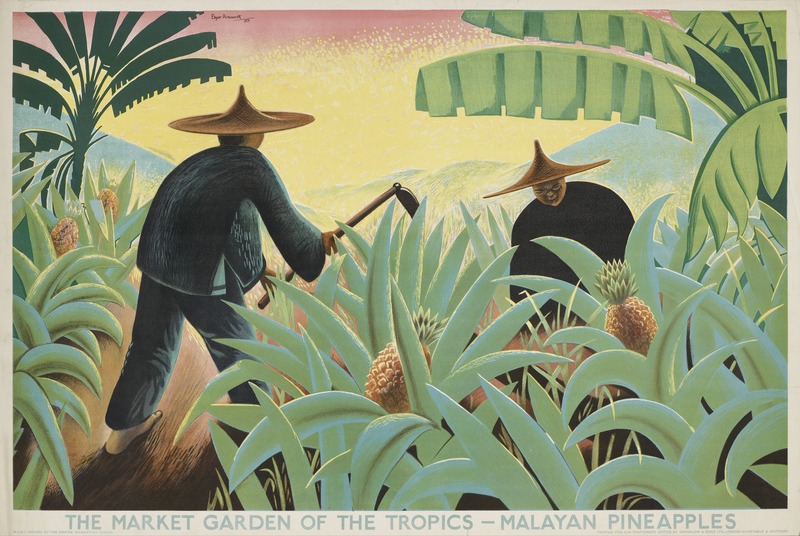 Other artwork such as botanical or ethnographic paintings were part of the colonial project to produce and exploit knowledge about the peoples, flora and fauna of the colonised worlds. Unlike the Tate Britain show, the Singapore exhibition juxtaposed such historical works with those by contemporary artists. Usually hailing from the former colonies, these contemporary artists often adopt a critical stance towards the legacies of colonialism in their own societies. Hence, their perspectives serve as useful entry points in understanding works from the past. The second aspect of our exhibition focused on the rise of modern art movements in the waning years of the Empire as the colonies moved towards self-determination and independence. This transition period was characterised by advances in technology, and greater circulation of people, goods, ideas and artwork. There was ever greater contact and exchange between Empire and the colonies, and amongst the colonies. All these complex developments had an impact on the early beginnings of modern art in the colonies. In the exhibition, we took a comparative case study approach to look at how local artists in the colonies responded to the demands for national identity in the context of their own colonial experiences. Many of these works were created by local artists for local audiences, as reflected in their choice of subjects and forms of expression. The final result was often a combination of both subject and form. From the beginning we realised that it would not be possible to curate a comprehensive survey of how early modern art had developed in the colonies within the limited scope of our exhibition. Hence, in deciding between breadth and depth, we chose to focus on depth, by looking at one specific pre-independence art movement within each colony. Hence, for some places, we were able to look at a range of artists like Tom Roberts and Arthur Streeton from Australia. For other countries, such as India, we focused on one seminal figure – Jamini Roy, whose career encapsulated the diversity of the Bengal art movement. From our selection, we aimed for visitors to gain a sense of how artists from the different colonies were motivated by similar concerns and impulses in their search for a new national identity. Our exhibition also differed from the Tate version in that we did not include ethnographic materials collected by various colonial individuals and organisations. Whilst the colonial origin of museum collections was a fascinating topic, we felt that, within the confines of our exhibition, it was more productive to focus on the relationship between art-making and the imagination of Empire. ‘Artist and Empire’ was also envisaged as engaging in a dialogue with our permanent gallery’s collections’ implied narratives. For instance, our Singapore collection examines art during the colonial period, including early developments of modern art in Malaya. The ‘Artist and Empire’ exhibition has been helpful in highlighting how this narrative fits within the wider global context of the British Empire. For instance, how does the Singapore story connect with what was happening in London, India, Australia and other parts of Southeast Asia? In addition, the ‘Artist and Empire’ exhibition also enabled us to delve deeper into aspects such as art education and art patronage during the colonial era. These were themes which were not dealt with at length in the permanent collection. For instance, we borrowed artworks by Cheong Soo Pieng and Chuah Thean Teng from the Ashmolean Museum in Oxford. These works were collected by the British art historian and curator Professor Michael Sullivan during his time in Singapore in the 1950s, and reflect the role such British curators played in the promotion of modern art in the colonies during this transition period. Similarly, the impact of colonialism on modern art in Southeast Asia (SEA) is a theme explored in our SEA permanent collection. Whilst the latter’s focus is more on European empires such as the Dutch in Indonesia, the French in Vietnam and the Spanish in the Philippines, the exhibition provided us with the opportunity to display works from the SEA permanent collection in new ways. For instance, the 1974 painting Fragment by Brunei artist Awang Sitai was initially displayed in the context of abstract art developments in SEA in the 1970s. However, it is important to realise this work was created by the artist whilst studying art in the United Kingdom in the 1970s. This was the period before Brunei’s independence in 1984. Hence, we selected the same work for display in the section that examined the relationships forged within the field of art education. It is not possible to single out any one artefact, place or person as representing the Empire. As an entity that spanned so many centuries and regions, and affected the lives of millions of people, its growth and decline remains hotly debated. The Empire is, therefore, a complex idea which continues to change, even today. Whilst it is useful to study the history of Empire through politics or economics, such disciplines do not provide sufficient insights into the cultural values embedded in societies at the time. Art provides a useful lens to examine Empire. What and how artists create are inevitably coloured by their subjective world views and agendas. In turn, the circulation of such visual images, whether through exhibitions or publications, affects how the Empire is imagined by the public. The remark ‘I make up things all the time. 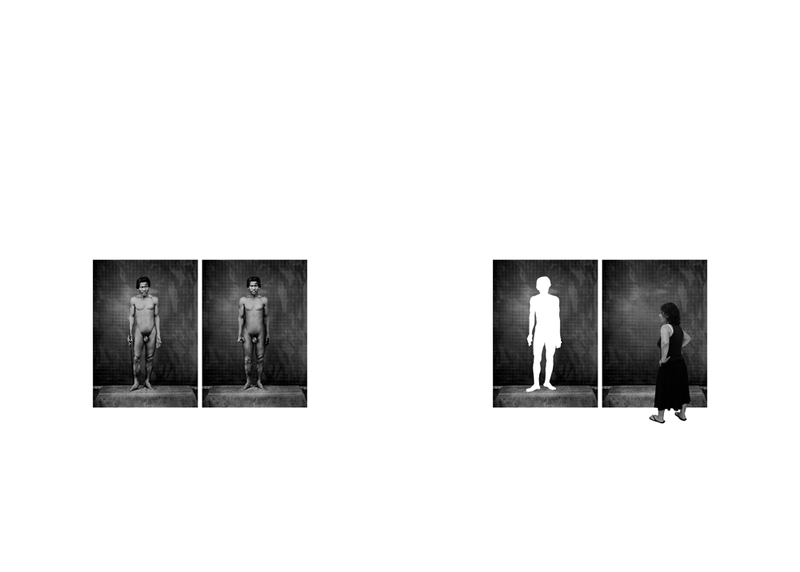 I’m an artist, not a historian,’ was made by Yee I-Lann, one of the contemporary artists whose works are featured in the exhibition. Her remark serves as a useful reminder that artworks are not neutral documents, capable of presenting facts or objective reality. Through this exhibition, we hoped visitors would examine more deeply and realise the cultural specificities of art, and the power it has to change and shape perceptions. In this way, we gain a deeper understanding of our past and present. Art museums and their exhibitions cannot change the past. However, they have the ability to present art in ways that provoke deeper thinking and questions, such as: how did we arrive here at this point in time, and where do we want to go in the future? Low Sze Wee is the Director of the Curatorial and Collections department at the National Gallery Singapore. Low began his journey as an assistant curator for the Singapore Art Museum (SAM) in 2001, then becoming the deputy director of the curatorial and collections department. In 2009, he joined the Gallery in the early stages of its conception and continued building up the museum’s collection while overseeing its curatorial development.